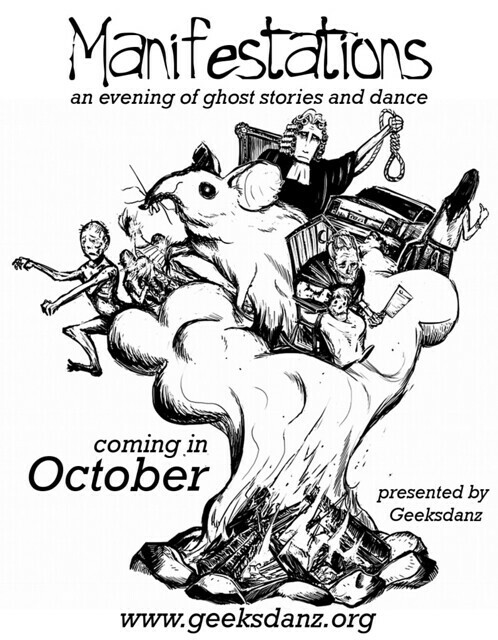 This fall, Geeksdanz gets a little creepy with Manifestations, a new collaboration between dance and storytelling. Featuring a selection of ghost stories told live by professional storyteller Alan Irvine, Manifestations melds dance and story to create an intensely atmospheric performance that will chill your blood and make your skin crawl. We’re still working on a venue and specific dates, so keep checking back for more information in the coming months!